Grab your Discounted Removable Lights LED Rainbow Lamp while the store LAUNCH DISCOUNT is on. Once we reach 300-unit sales, we will be increasing the price back up to $103.95. This is absolutely a great gift! The perfect nightlight has arrived in this cute mushroom design, this LED rainbow lamp features removable light balls! 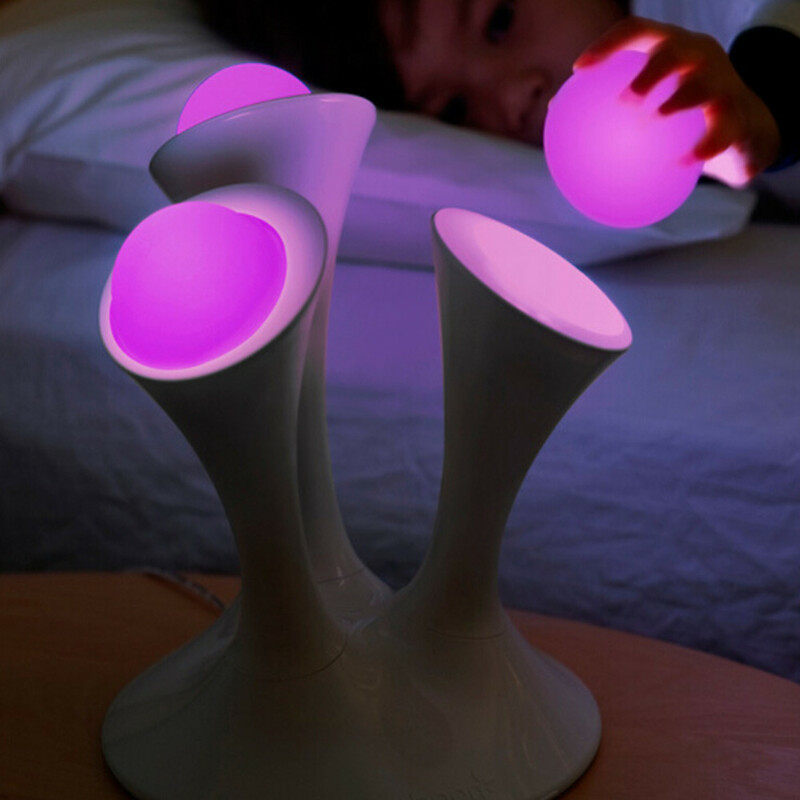 A great nightlight option for kids, to sleep with, to take to the bathroom at night, and much more! The lights will continue glowing after removed from the pedestals. Conveniently change the colors with just the flick of a switch. No surface temperature and electronic contents make the removable balls safe for children to hold or even sleep with. Measures 8.5" x 8.5" x 10.2".